QAM thanks Mark Clayton for the donation of this aircraft. Registered to Trans-Australia Airlines, Brisbane as VH-DRC. CofA issued the same day. The aircraft was painted in TAA livery and used to operate TAA's western Queensland services replacing a DH.84 Dragon. It was also operated as required on behalf of the Flying Doctor Service of Australia (Queensland Section). During the delivery flight to its new base at Cloncurry, a ceremony was held at Eagle Farm, Brisbane to name the aircraft Norman Bourke in honour of the Hughenden grazier and stock agent who had been one of the original backers of the Flying Doctor Service. He later served as President of the Federal Council of the FDS and was also President of the Queensland Section for many years. He also served as President of the United Graziers of Queensland. He was born in 1874 and passed away in April 1952. The organisation received Royal assent becoming the Royal Flying Doctor Service of Australia. 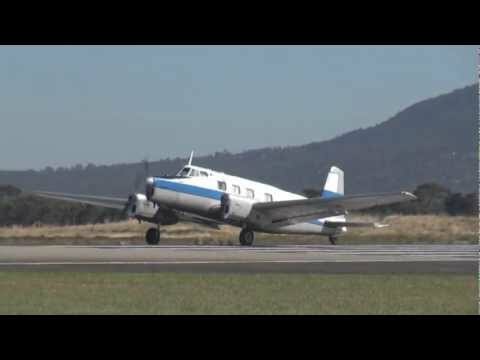 The same year, DC-3s replaced Drovers on TAA's Gulf Country Service and Channel Country Service making the Drovers available exclusively for RFDS operations. Around this time, VH-DRC was based in Charters Towers. VH-FDS operated its last RFDS service from the Charleville base. Sold to Hawker de Havilland Australia Pty Ltd, Bankstown. The aircraft was traded-in on a replacement Beech Queen Air for which HDH were Australian agents. Sold to Murchison Air Services Pty Ltd, Perth WA as VH-FDS. Arrived at Perth International on delivery to Murchison Air Services. Painted with a red tail with white Southern Cross and bronze cheatline. Used on the "Murbird" services to Rottnest Island with up to 8 return services daily. Ownership passed to Trans-West Air Charter Pty Ltd, Perth on merger with Murchison/Southern. Sold to John Collins trading as Air-Rep Service Pty Ltd, Perth and named Lady Elza (not Eliza). The Drover was used to deliver food and household goods to remote properties throughout the Western Australia outback. Noted at Perth with revised Air-Rep Service titles. Departed Perth on delivery to James Luck and Associates, Smithton, Tasmania. The aircraft was used to carry frozen mutton birds from Trefoil Island to Smithton on the Tasmanian mainland. This operation was conducted under the licences of Island Aviation. Severely damaged in a landing accident at Trefoil Island when the aircraft swung off the strip and both main undercarriage legs were torn off when they dropped into mutton bird burrows. 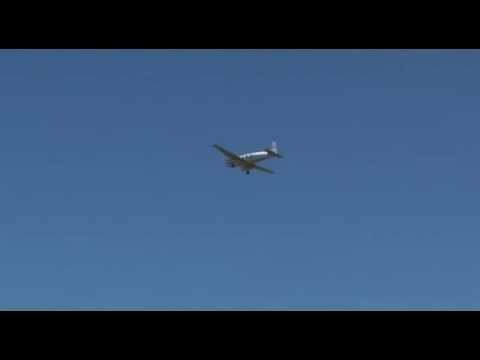 The aircraft was being flown by C.K. Powles who was a part-owner of the aircraft. The aircraft was subsequently parted out and abandoned on Trefoil Island. Removed from Trefoil Island by members of the Wynyard Aero Club with the intention of restoring the aircraft as a memorial to the RFDS. The aircraft was transported from Trefoil Island via amphibious DUKW (aka Army Duck) to Woolnorth on the main island of Tasmania from where it was transported to Wynyard on a log truck. The aircraft was subsequently acquired by Mark Clayton and stored at Dedington, Tasmania. Donated to QAM by Mark Clayton. Arrived at QAM Caloundra ex Dedington, Tasmania. Restoration began at QAM Caloundra. The aircraft will be restored in RFDS (Qld) livery with Lycoming engines. Added a superb colour painting thanks to Juanita Franzi. Reports that the aircraft was originally named Gordon Alberry are apparently incorrect. There is photo proof that VH-DRC was named Norman Bourke. Added an image of the aircraft in RFDS colours thanks to Geoff Goodall. Thanks to Keith Jordan for supplying biographical details of his Great Uncle, Norman Bourke. Added an image of the aircraft as VH-DRC. Added a new image after attachment of the wings. Added a new image of the fuselage after painting. Added a new image of the fuselage being painted. Added five new images of the aircraft's time in WA thanks to Geoff Goodall. Also added two images of the fuselage being stripped of paint prior to restoration. Added details of Murchison Air Services' use of the aircraft thanks to Harry O'Neil.